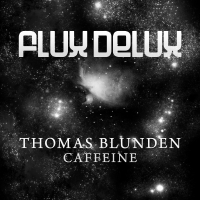 Thomas Blunden delivers a deep bass lead groover filled with stabs, hits and FX, all of which blend perfectly into the infectious topline melody that permeates the breakdown. On remix duty, Channel Surfer delivers a frenetic "left of centre" interpretation that is certain to cement this talented producers growing reputation yet further. 'Caffeine' is available now from Beatport and iTunes.